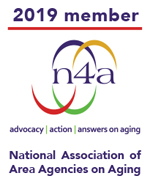 Community Connection has been designated as an Area Agency on Aging (AAA), one of 700 such agencies across the United States, committed to serving older individuals. We provide a comprehensive and coordinated range of services making it possible for each person to participate in the services of their choice. These services assist both the frail older person who can remain at home if they receive the right supports to those who are healthy and can benefit from the activities and socialization provided by community-based programs. Community Connection is also an emerging ADRC (Aging and Disability Resource Connection). The ADRC is a highly visible, trusted source for unbiased information and assistance as well as decision support for seniors and people with physical disabilities, their families and caregivers. ADRC professionally trained Information and Assistance Specialists not only provide the information, but actually connect consumers directly to the agency or service and follow up to insure they are satisfied. ADRCs also provide options counseling to consumers to assist them in determining what care options best fit their needs and preferences. Together consumers and Options Counselors weigh the pros and cons of each option based on the consumer’s circumstances, preferences, and resources. The consumer can then make an informed decision about long term services and supports that meet their personal goals. For information on any of these programs, contact your local Community Connection office or the John Day Senior Center. Oregon Project Independence provides services for frail people 60 years of age and older to enable them to continue to live in their homes. Services are directed to folks who are at risk of institutionalization and who do not qualify for Medicaid. The goals of the program are to promote quality of life, provide assistance with activities of daily living, and to prevent inappropriate or premature institutionalization. Depending upon household income and qualified medical expenses, an hourly co-payment may be required. The Family Caregiver Support Program provides assistance to an individual who is caring for an elderly family member or to a grandparent caring for a grandchild. Services are intended to complement, not replace, the care provided by caregivers. The Family Caregiver Support Program acknowledges and encourages the vital role caregivers play in our country’s home and community-based services through support in a coordinated and responsive manner by taking care of those who take care of others. There is no charge for these services. Our senior centers host health clinics including blood pressure clinics, cholesterol clinics, foot clinics, eye screening, and hearing aid screenings. Professionals in each field perform these services for the senior population usually on a monthly basis. These professionals set up their clinics inside our senior centers and seniors are assisted on a first-come, first-serve basis. These services are provided free of charge. Living Well with Chronic Conditions: this is a six-week course, two and a half hours per class, one class per week that teaches clients how to better live with a chronic condition. Chronic Pain Self-Management Program: this is a six-week course, two and a half hours per class, one class per week that teaches clients how to better live with chronic pain and to manage their pain sysmptoms. Diabetes Self-Management Program: this is a six-week course, two and a half hours per class, one class per week that teaches clients how to better manage diabetes. Advertising for these trainings is done through public service announcements, newspaper articles, announcements at our local senior centers and calls made to our partners. Each of our senior centers has a variety of brochures, newsletters and flyers on health promotion that are available in our lobby areas of our centers. Contact your local senior center for scheduling. LEGAL ASSISTANCE may be available to anyone over 60 years of age on a referral basis. Community Connection contracts with Oregon Law Center and Oregon Legal Aid to provide legal counseling on many topics. During tax season, trained AARP volunteers assist seniors, persons with disabilities and low-income folks by completing their tax returns. From our senior center offices in each county, we provide Options Counseling to seniors and their family members. Clients often have many needs and are unsure of where to turn for help. Community Connection staff help the senior and/or family member sort out their needs and identify options for filling those needs. As the family decides on their course of action our staff provides support, often being consulted multiple times during the process. Our Senior Companions will visit other seniors in their homes. Typically, the senior may live alone or perhaps be providing caregiving for a spouse. The Senior Companion can help with shopping, go for outings – or how about an ice cream cone? Or, they can just sit and visit, read the mail or papers, and provide much-needed outside contact. We make regularly scheduled telephone calls to seniors who live alone and who need someone to call and check on them. If no one answers, we begin calling emergency contacts, up to and including the police department to do a wellness check. This can also be on a temporary basis. For example: You have been stopping in or calling your family member every day to see if they are doing well. However, you are going on a trip for a week and need someone to check on them while you’re gone. Our staff or volunteer will call your family member each day on a set schedule. We receive donated medical equipment, such as wheelchairs, bath stools, and commodes. We loan out this equipment at no charge to seniors who need them on a temporary basis, usually for a maximum of six months. If a patient needs permanent equipment, we encourage them to purchase from a provider under the Medicare durable medical equipment benefit. At all of our senior centers we provide the information and assistance our elders need to maintain independence with dignity, no matter what life throws at them. We are always happy to sit down for a one-on-one session with people who need assistance, advocacy, networking, or just need to talk. For example, people sometimes need help filling out social security papers, public housing applications, and others. We do not make the decisions or provide recommendations, but merely read through the paperwork with them. We have helped people to access the Medicare.gov website to help in identifying the Medicare prescription programs that are available. For instances where Community Connection does not have the needed resource, we have an entire network of partners who offer companion and complimentary services to draw referrals from. We work closely with the good people at Social Security, Aging and Persons with Disabilities, the housing authority and a host of other local non-profits. While we may not be the best place to fill some needs, we are almost always the best place to start. Get your list of questions out and give one of our friendly staff members a call today. You'll be glad you did! The meal not only assures at least one nutritious meal daily, but the interaction serves the individual’s social needs as well, providing a gathering place to meet friends, dance, play cards and bi.ngo, etc. All meal sites are open to the public. We also have recreational bus trips to nearby areas, where we visit interesting places. Past trips include the Pendleton Round-up, Gilstrap Brothers Winery Tour, Hot Lake Resort & Foundry, and Sumpter Valley Railroad ride and picnic. We have craft bazaars, Old Time Fiddlers Shows, informational presentations on hot topics, bingo, cards and other games and many other activities throughout the year. Our programs are heavily dependent on local donations. Federal and state grants provide a minimal level of funding, making it necessary for us to write grants, conduct fund raising events, and to seek donations locally. Donations can be made at the Community Connection Administrative Office at 2802 Adams Avenue, La Grande, or at any of the local Community Connection offices. All donations are tax-deductible and will be directed to the program of your choice. Would you like to sponsor a senior meal? We call this “The Entrée Program” and it is an opportunity to donate to the program and receive recognition for supporting a service that is extremely important in the lives of northeast Oregon elders. Businesses find this a valuable way of supporting local seniors and individuals use this to celebrate a loved one’s birthday or anniversary. Your donation will be recognized in-house, in the newspaper, and on the radio. This is a tax deductible donation. Individuals, churches and businesses can donate to the Memorial Fund on behalf of a friend or loved one. Monies donated to the memorial fund will be used as designated by the donor to support programs offered by Community Connection. All donations are tax deductible. The Wallowa Senior Advisory Group and Baker County Seniors, Inc. have each established endowment funds with the Oregon Community Foundation. These funds will help to ensure the longevity of the senior centers and the many programs offered. The funds are well established and welcome tax deductible donations in memory of a loved one or to offer support of the senior program.